He may have gone from number one to number 88 but Jamie Whincup is still focused on just one thing. Winning. The all-time champ is determined as ever to succeed and believes his Triple Eight team will not miss a beat after expanding to three cars. It’s just another challenge to overcome, he says, comparing it to the famous Ford to Holden switch and the Car of the Future changeover – both which were managed by the Roland Dane-led operation successfully. 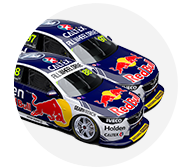 “The good thing about our team the last 10 years is that there has been consistent change,” Whincup said. “Let’s face it, we did move from Ford to Holden – that’s massive. “Massive naming rights sponsor changes, engineering changes – the whole lot. “So it’s always been fresh, it’s always been challenging. He may not be defending the #1, but it’s the same as any other start to the year in his eyes. “The feel is exactly the same. It just highlights what I’ve always said, and that there’s no greater pressure than the expectation we put on ourselves,” Whincup said. “We do have a brand and a lot of pride here at Red Bull Racing, so the pressure we put on ourselves to perform is no greater than any fan base, any sponsor, or any external force can put on us. He may have a flamboyant new teammate many are tipping for the title in Shane van Gisbergen – but Whincup is focused on winning races playing the team game. “I feel like I have prepared well,” he said. The competition between he and van Gisbergen has been a hot talking point in the lead-up to the event, which the quick Kiwi won in 2013 in Triple Eight equipment at TEKNO. 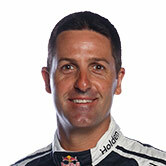 Now he’s in the same specification car as Whincup, fans believe it will be a true comparison of the two’s talents. “I’m trying to dismiss it to be honest,” Whincup said of the teammate talk. “We can battle it out and pretend we are in different teams and we’re competing against each other – which ultimately we are out on the track. 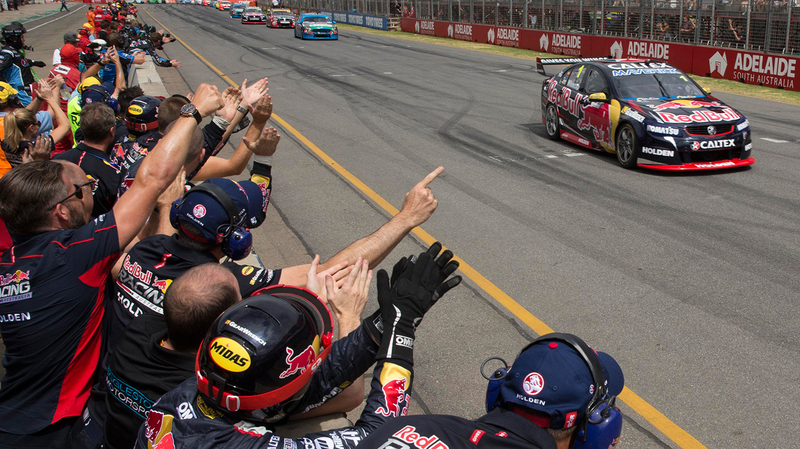 Fighting one another isn’t going to help the team’s cause, Whincup says. “If you focus on that we will end up battling for fifth and sixth in the Championship and end up getting rolled by everyone else. “The mentality here is to get both cars quick, battle it out on the track. I’ll have my day, he’ll have his day, who knows who’ll have more come the end of the year.